Prestige Detail is Bismarck-Mandan’s high-end vehicle detailing company. From classic cars to modern exquisite collectibles, Prestige Detail can wash any car, truck, SUV, boat, motorcycle, and airplane. We have no automatic car wash that will scrape the paint. Washing by hand is the best way and our way to get the pristine shine your ride deserves. Prestige Detail is just as picky as you are with your favorite ride that is why we work extra hard to ensure it is spot on perfect the first time. With our large shop space, we will keep your vehicle indoors until it is ready to be picked up. You will not have to worry about your ride being parked on the street exposed to the North Dakota elements. We offer many different packages for many different types of vehicles. If it moves fast and needs to shine, the Prestige Detail team can do it. Check out our detailing packages in the cars/trucks page. With the variety of the four seasons North Dakota has to offer it is best for the overall care of your vehicle to have it detailed every spring, summer, fall, and winter. This is very important to remove any damaging materials from your vehicle. These damaging materials include road salt, tree sap, bird droppings, bugs, corrosive rain, dirt, and sand. Why Wash With Prestige Detail? Prestige Detail opened in April of 2012 in the old Wilhelm Body Shop located on 100 E. Thayer Avenue in Bismarck, N.D. The building itself has a local history that many residents still remember to this day. Owner Josh Lindberg has held a love and passion for anything that has an engine and moves fast. Growing up in Jamestown, N.D. and moving to Bismarck at the age of eighteen, Josh has several personal and professional ties to the area and North Dakota. In fact, Josh’s first job was working for his grandfather’s car dealership washing cars. Over the years, Josh saw the potential to open a high-end automotive car detailing business. Working on classic cars, priceless collectibles, and modern road heart stoppers, Prestige Detail came to life. 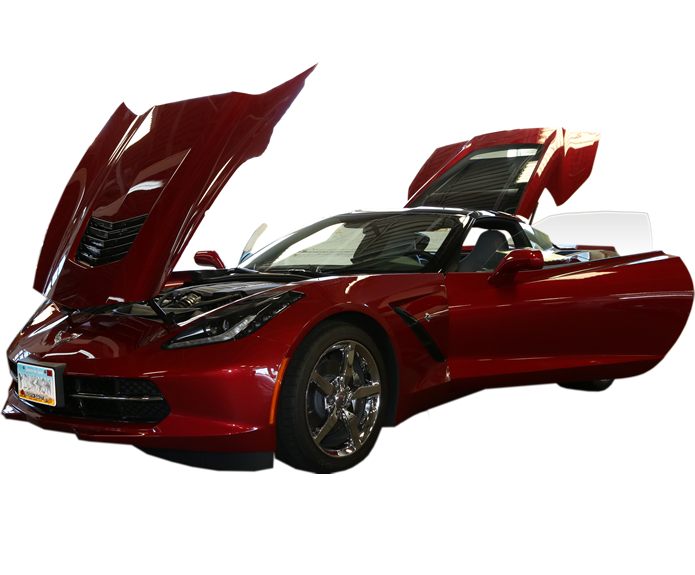 Prestige Details motto is “for the shine of your ride.” If you ride a car, truck, motorcycle, boat or airplane the auto restoration experts at Prestige Detail will make your favorite ride shine like never before. Prestige Detail’s positive reputation has excelled them to work with local car dealerships and high-end performance shops to get the dirty details off a dirty car, truck or SUV. Once you see our prestige level of service you will always want your ride cleaned by Prestige Detail. Protect the paint and exterior from the elements. Take care of your investment. Show off your shiny ride. Trust Prestige Detail To Keep Your Baby Shiny & New. © Prestige Detail. All Rights Reserved.